You are browsing the archive for HCD. This tool was an experiment; please do not use it anymore as it produces unreliable reports; the tool has not been updated for many years. Use modern AV/EDR software instead. Thanks! In a post from 2012 I introduced a simple tool that was scanning $MFT for traces of flame. This is an experimental tool so do not jump if you see something in RED (well, you should not anyway, cuz it could mean you got pwned). Just assess it and take it from there – look for the file names highlighted by HCD on your drive. 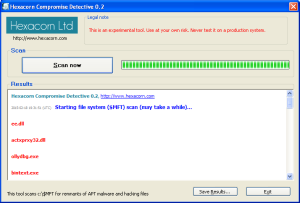 If you can’t find it, use a forensic tool to export a full list of file names. p.s. I will add a feature to include full paths in future versions – code is ready, but needs some more polishing. In any case, if you you see something red you should probably look at your system anyway… If you find bugs, or False Positives pls let me know. Thanks. Download the tool from here. Another way to test your system is by running LOKI by Florian Roth – a tool that scans your system for IOCs (Indicators Of Compromise) for many well-known APT campaigns. Expect this tool to grow over next couple of months. 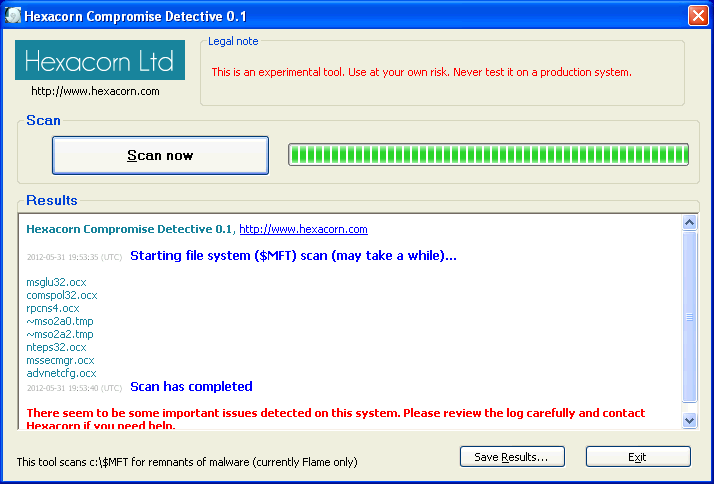 At the moment it only scans for flame malware (I used list from all the places I could find including my own research, CrySyS Lab, Kaspersky, BitDefender, malware.lu, kernelmode.info, etc. – list pasted below). It should find entries that are both live (existing files) and deleted entries. Note: this is an experimental tool – DO NOT test it on production system. 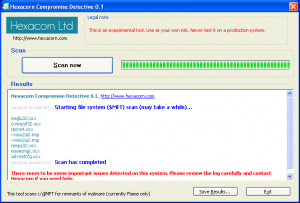 You can always use fls.exe from sleuthkit. 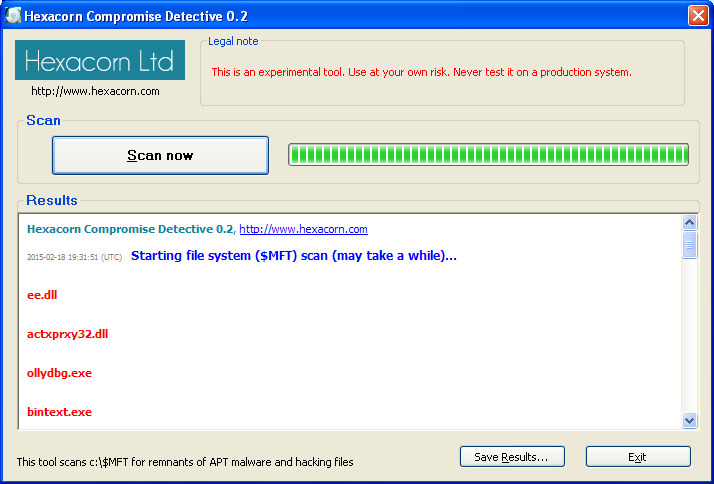 The tool can be downloaded here.